The salaries and perks in money management careers can be excellent and this finance sector does reward well for good performance. There are also a number of extra benefits that come with money management jobs. The overall salary that can be earned in money management will be decided by the type of job and whether or not commission is included. Many jobs will have a higher commission rate than base rate and this can make a big difference. If your performance results are high then commission can add a huge amount to the base salary. Not every job in money management will be commission based and some employees prefer the stable salary scheme that eliminates the element of risk. Pay rates will of course vary depending on qualifications, work experience and location of the company. Money management jobs can have excellent starting salaries and junior portfolio managers can earn around £40,000 to £50,000 if they are qualified. Trainee hedge fund managers can expect starting salaries of around £30,000 per year. The annual salaries can be even higher if commission is included, and job competition will be intense due to these high salaries. Financial careers will always come with some perks and benefits depending on the company. One of the biggest perks is discounted financial services and products. This can include cheaper mortgages, insurance packages and pensions. Most firms, especially in the larger cities, will provide excellent benefits packages including private medical cover, company cars, performance related bonuses and shares options. Money management jobs can be based in companies that have a global presence. As such, travel can be one of the job requirements. If travel is important in your job choice then this should be kept in mind when applying for jobs. Some of biggest financial companies will have offices in the major financial locations such as New York, Hong Kong and London. This is a great way to work in different cities and gain experience of different cultures. 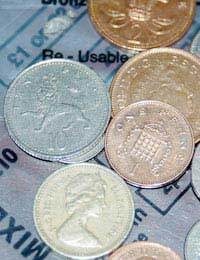 One thing to bear in mind when applying for money management jobs is the starting packages available. Potential employees with strong performance records can be offered very attractive starting packages. If the job is based in a different city then relocation fees can be provided. Work experience and qualifications will count for a lot and those with excellent track records can expect higher salaries. It’s only natural to assume that as a career progresses the salary will increase. Equity portfolio managers in banks can be dealing with millions of pounds of investor’s money. The responsibilities that come with this job are great and the salaries do reflect this. Making the leap to a private fund management company can bring even greater rewards in terms of salaries. In the UK, blue chip companies in London will pay very high salaries for talented portfolio managers that can exceed the £100,000 mark. If it comes to the point where you have decided to go it alone or with a small group of partners then the salaries can be lucrative. This is because private money management companies tend to be on the small side with around five principals and 10 to 20 other employees. The principals can expect very high salaries as they are usually the equity holders in the companies. Of course the more work the more money but private investment companies in large cities can be a very lucrative option. Money management careers do tend to be the high earners when it comes to financial careers. Some may be in the same league as corporate investment bankers but in some cases the same risk element to pay does not exist. This is a hard career to break into but the salaries and benefits can make the initial struggle worthwhile.